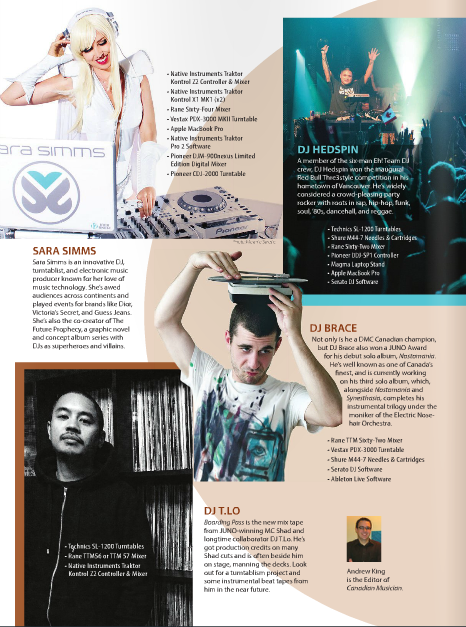 Thank you to Canadian Musician for featuring Sara in your March/April Edition! This fall, I’m launching a collaborative multimedia project called The Future Prophecy. The project stems from a graphic novel that was written by my sister Melle and I; we’re featured as the story’s leading heroines who are blessed with superpowers. On our journey, we must learn to use our powers for good, and work together to overcome Bogtown Records, the ruthless villains who have seized control of our beloved city.